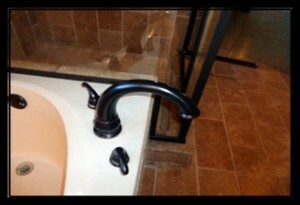 Revolving Faucets are not a Great thing to have but they are a Great thing for your Dallas Home Inspector to Find. This might mom from having to clean up a HUGE mess! Realty Inspection Services test so many items during a home inspection so that you as a home buyer will know all about your future home. Skipping a home inspection can be a HUGE mistake. Great Find by Grand Prairie Home Inspector, Paul Viveros Lic #3875.